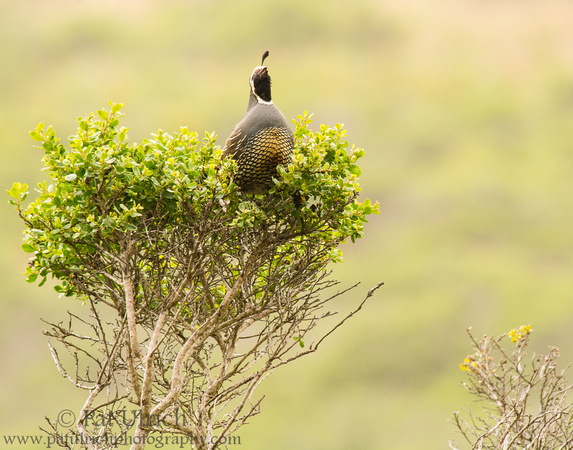 After spending some quality time photographing this California quail singing from the top of a branch of coyote brush last summer, I took another lap around the Tennessee Valley Trail. 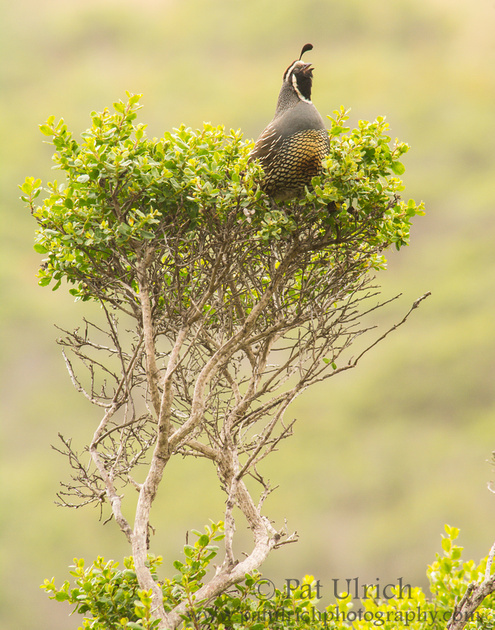 I didn’t see much on my traverse, but when I returned, this friendly quail had moved to a different perch even closer to the trail. His new location certainly didn’t tamp down his vigor, so I took advantage of the opportunity to make a few more photographs of him throwing his head back and calling out his lovely song. 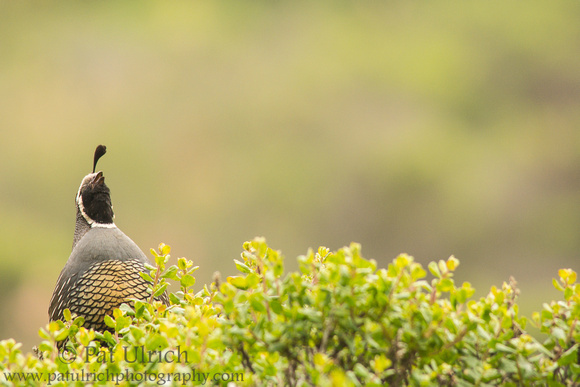 View more of my quail photography. Submitted to Wild Bird Wednesday -- follow the link to check out this week's posts. 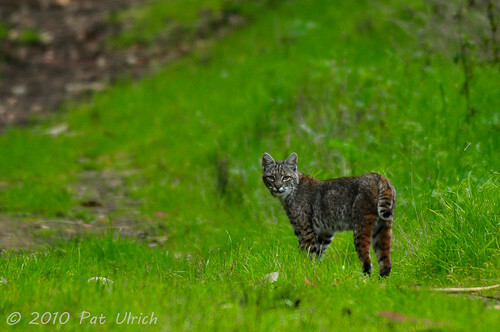 After a handful of unsuccessful trips to Tennessee Valley over the past few weeks, I finally encountered a bobcat there. This is the first time I've ever been in the presence of a wild one, and even though it never came real close it was still awesome to have the chance to observe it. The bobcat listened for prey along the trail and made a pounce into the bushes along the right side before disappearing for a few minutes. It sauntered back out into the path before briefly listening for a meal along the other side of the trail before it strolled up along the path and into the woods. I also had the pleasure of bumping into local wildlife photographer Trish Carney, who was looking for bobcats along the same trail. 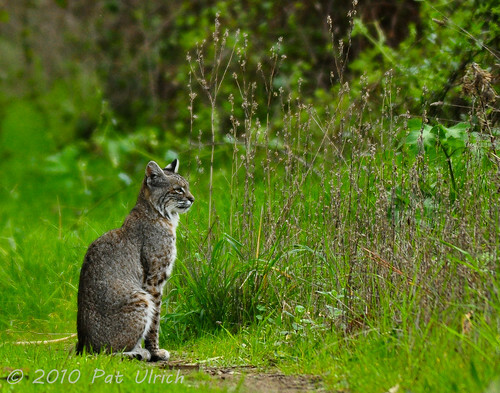 I highly recommend checking out her website if you want to see some spectacular bobcat images (as well as many other species).